Myth #9. Those who eat plant based are vegans. This is a myth that makes a lot of vegans upset. Someone can be plant based and not be vegan. Vegans care about the protection of animals and do not want to partake in using any products that come from animals, not just food, but products found in clothing, medicine, etc. Whole Food Plant Based people are eating this way for health reasons. Now, someone might be both, but it isn't always the case. I happen to be both now but it didn't start out that way. I went plant based first and then my compassion increased and went vegan. Myth #8. All vegans lose weight on this diet. Again, this goes back to the difference between whole food plant based and vegan. A person can eat Oreos all day and still be vegan... but they won't lose weight that way. If someone were to eat whole food plant based, it's much easier to lose weight because most vegetables are low in calories. They also avoid oil, which also helps with weight loss. Many vegans consume oil, so they may not lose weight. Myth #7. Whole Food Plant Based people don't get sick. We're human, of course whole food plant based people can get sick. But the thing is, many of them that do recover much faster than those eating the SAD diet. For example, the last time I had a cold a few months ago, it lasted like 3 days and it wasn't that severe. Prior to eating this way, I would be sick with a cold for at least a couple weeks and the symptoms would be more severe. Myth #6. Coconut oil is good for you. I don't know how this myth got so wide spread but too many people still think coconut oil is good for you. It's a processed food. It's been shown to raise cholesterol and it's very high in saturated fat, which could contribute to heart disease. Stick with using coconut oil on the skin and hair if you like, but it should only be consumed in moderation if at all. Just check out Dr. Greger's video about coconut oil. Does Coconut Oil Clog Arteries? Myth #5. There's no variety in whole food plant based diets. You can make practically any food as whole food plant based. There are so many recipes online... plant based pizzas, desserts, ice creams, all without animal products and they taste even better. For meat eaters, how much variety do you have beyond beef, chicken or pork? Myth #4. It's too expensive to be whole food plant based. This is definitely not true! I overheard someone at the gym complaining how a steak restaurant he took his family to cost over $130. Meat is expensive. If plant based people aren't buying meat, we're saving a lot of money right there. The money we save there helps us to buy better foods like organic items. There are lots of websites devoted to being vegan on a budget. You can buy in bulk while plant based, buy beans, nuts and seeds and save a ton of money. It doesn't have to be expensive. Myth #3. Plant based people are low in iron. Wrong! My iron actually improved after going plant based, not that it was ever bad. I know many other plant based people have similar stories. There are many iron rich plant foods... pumpkin seeds and spinach come to mind. If you consume vitamin C with the iron rich food, you improve absorption. Now there are people who have problems absorbing iron, but it's not just plant based people but also meat eaters. It's not fair to act like just plant based eaters have problems with iron. Myth #2. If you're plant based, you will be low in vitamin B-12. The reason this is a myth is that many of us can supplement to get enough B-12. And B-12 absorption decreases in many people as they age. That means that even meat eaters might be low in B-12. Everyone should have their levels checked, especially if they are showing symptoms of low B-12, which include muscle weakness, bone pain and difficulty breathing. Myth #1. That plant based people don't have enough protein. 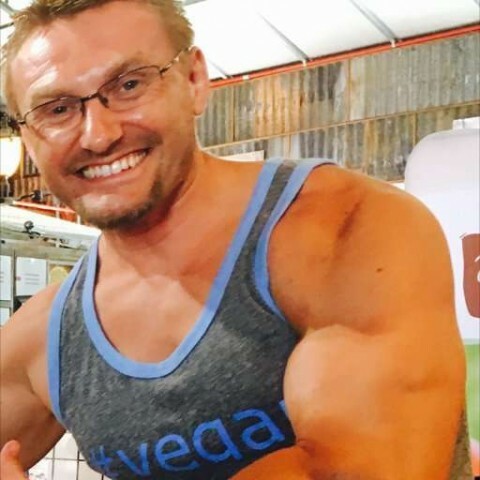 You want to make a vegan or plant based person crazy... just ask that classic question, "where do you get your protein from?" If you eat enough calories, you are getting enough protein. Need more proof? Just look at body builders like Robert Cheeke or Vanessa Espinoza... or even myself. 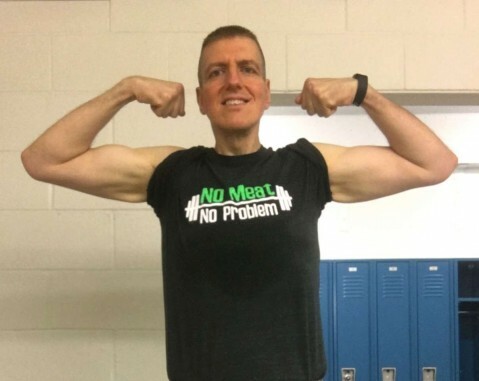 I am building muscle better than when I ate animal products. I may not be there yet, but I see improvements with my muscle everyday and I attribute it to working hard and eating clean. I'm hoping that if others are curious to try whole food plant based eating, that understanding these myths and how they are not true might help them try the diet. I know I was amazed at how much energy I felt and how healthy I feel overall since going plant based!